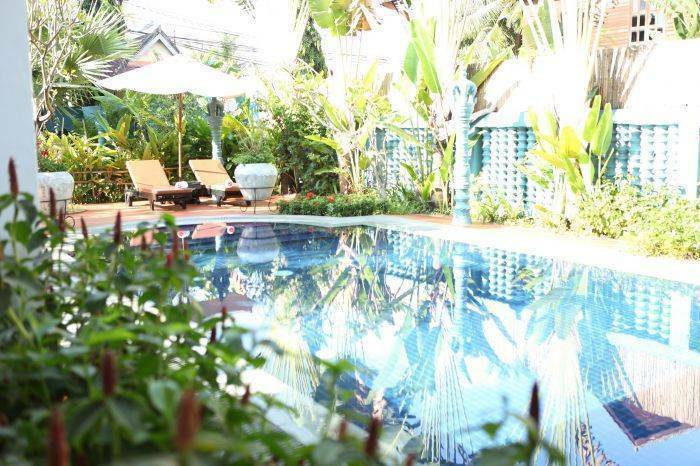 Lovely place ... Lovely hotel with a charming garden and a marvellous swimming pool. We have been upgraded so we had a lovely huge room in the wooden house on the first floor. People are very kind. Breakfast is ok. A very nice place to stay, not so expensive. 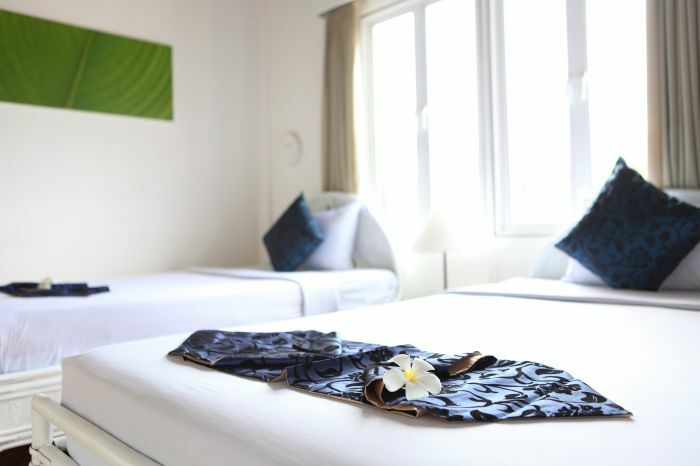 The Frangipani Green Garden Hotel & Spa. 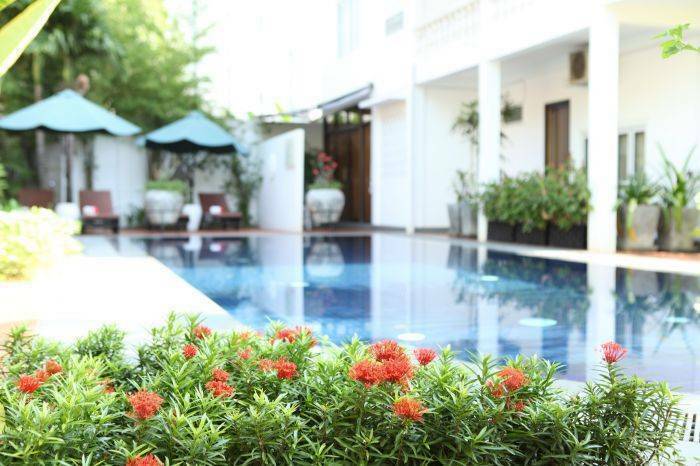 Architecture rich in Cambodian heritage, alluring contemporary art, and a pampering Spa meet the eye as The Frangipani Green Garden Hotel and Spa welcomes you to its large garden compound located in the heart of Siem Reap. 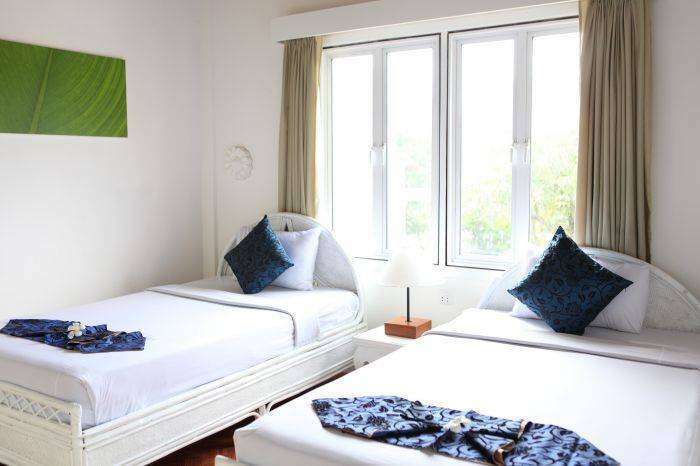 Built by a Khmer architect and was fully refurbished in July 2012, the hotel is a luxury of 13 air-conditioned Suites and Rooms beautifully decorated with Cambodian style furnishing. 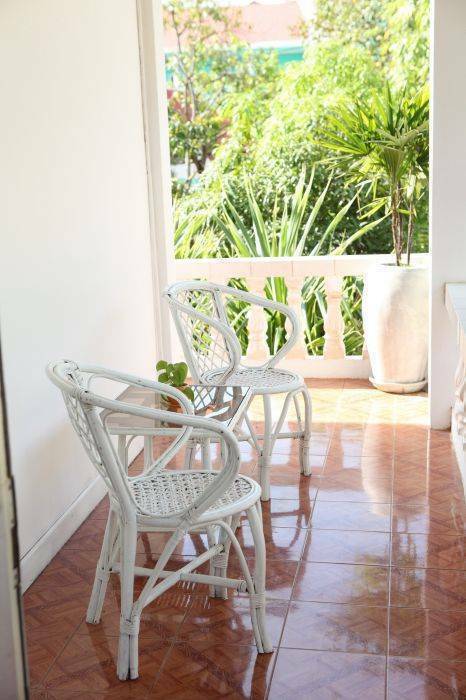 A haven sits in this compound, which is the Plumeria Spa, a sanctuary to find peace and harmony. The spa offers services and treatments that not only revitalize but also stimulate the senses to seek a balance of well being. The wide range of services endeavors to pamper and rejuvenate. Mixing our attentive and friendly Khmer hospitality with the highly skilled therapists endowed with international standards of up to date training, you are ensured of complete surrender in trusted hands. Have an unforgettable journey with us at The Frangipani Green Garden Hotel and Spa. The Green Garden Home Guesthouse was built by a Khmer architect using both wood and concrete, comprising three seperate buildings. The original is a one-storey wooden house and the other two are concrete built. 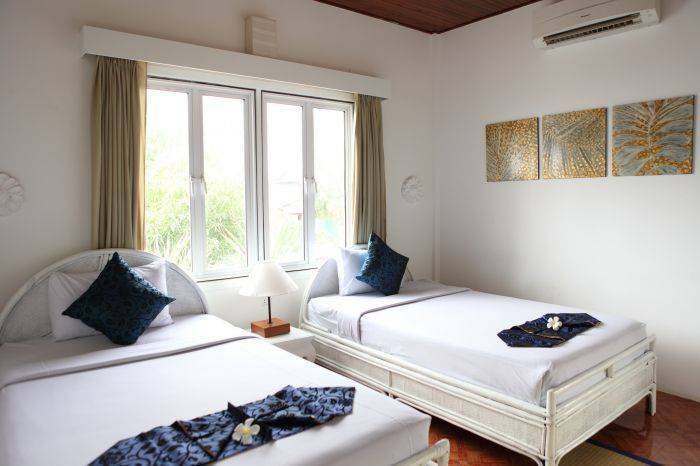 In the wooden house there are three beautifully decorated rooms, all en-suite with authentic Khmer furniture with private balcony. The other concrete building is close to the swimming pool and tropical garden with 10 en-suite rooms. in total, they are suite and deluxe. One more concrete building which has three standard rooms. #051, Sivutha Road, Modul II village, Svay Dangkum commune, Siem Reap district, Siem Reap province, Cambodia. If the guests cancel 7 days before they arrive, we do not charge. The guests can change the date that they will be arriving at least one day before without charges.